Fusion Healthy Drink of Oriental herb. 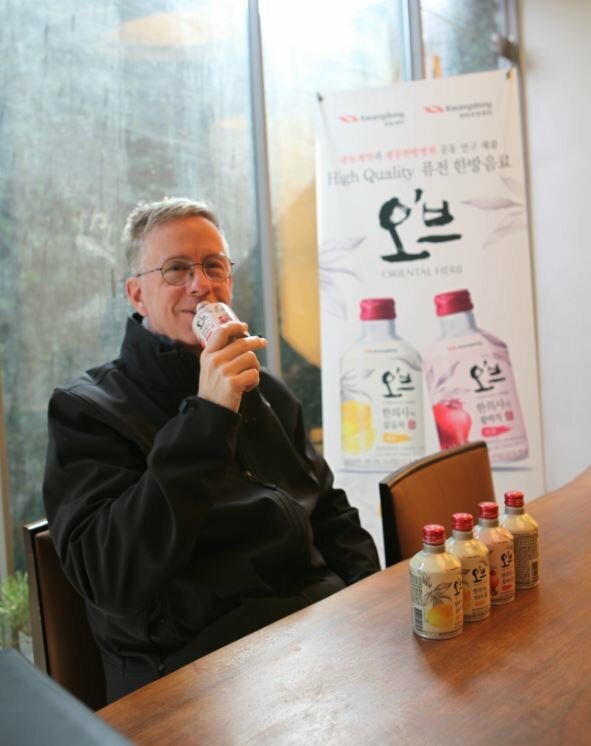 Traditional Korean Medicine doctor develop this drink. “ Clear Tea of KMD” is good for Detox including Cnidium officinale Makino, Adley, Buckwheat and mint. “Stamina Tea of KMD” is good to improve energy for body and mind of women including Cnidium officinale Makino, Angelica gigas Nakai, Pueraria lobata Ohwi and dates. Some foreign patients from USA, UAE joined for the tasting and were very happy.